Now with Pushtracker™ and tap to go option for when it's hard to push!!! 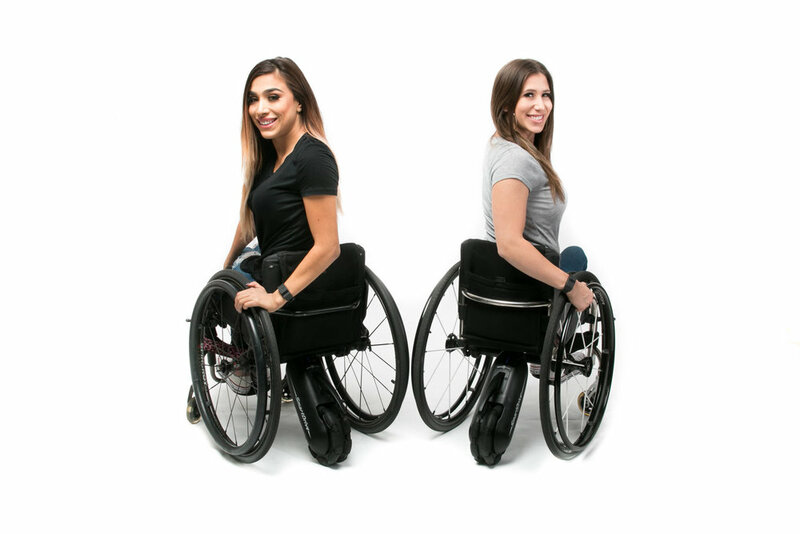 The NEW SmartDrive MX2 + now with the PushTracker wristband makes the already award-winning wheelchair power assist even better—it will truly change your life. It can power you up steep hills and through thick carpet. It's intuitive to use and will go for miles on a single charge. Turn on, get out there and rediscover your independence! Now with PushTracker the SmartDrive power assist can be individualized, allowing tweaks to the tap sensitivity, top speed and more. Also equipped with different selectable modes, you can easily pick the one that is best for your desired activity level and needs. But no matter what mode you chose, using the SmartDrive is intuitive and easy. MX1: Push to go, coast and then brake on the handrims to stop. The original SmartDrive operation that is great for indoor use. MX2: Push to go, coast and then tap brake to stop. The Normal operation the SmartDrive has come to be known for to easily take on any indoor or outdoor environment. NEW MX2+: Double-tap to start ramping up the speed, tap to coast at your current speed and then double-tap brake to stop. A game-changing operation giving weaker pushers the power to activate the motor at the tap of the wrist. See the Quickstart Guide (click here) for more details. The SmartDrive is lightweight and easy to install. The system weighs only 12.5 lbs (5.7 kg) and simply attaches on the back of the chair. It can be fit on essentially any make and type of wheelchair, including folding, tilt-in space, one-arm drive and standing. The SmartDrive gives you freedom to do more. It moves with you and it’s so lightweight, you don’t even know it’s there. You can spin in place, be in a wheelie, or hop off curbs. It is compatible with your active lifestyle. Thumb Throttle Buttons: These are a great accessory to the SmartDrive. They can be mounted in unique positions and used in a variety of ways. Mounting by the rear wheels gives you added control and operation. Putting on the chair’s push handles an attendant can then activate the SmartDrive at a comfortable walking speed, for assistance up ramps, grades and over long distances. Or a combination of the two! See the Instructional Video (click here) for more details. Standard and Large (Demo) Carrying Bag: Both are great for carrying your SmartDrive and Chargers. Please provide your contact info and we will connect you with qualified dealers in your area. Thank you! We will email you with the information as soon as we can!